Great news, I sculpted the turtle tile table top. 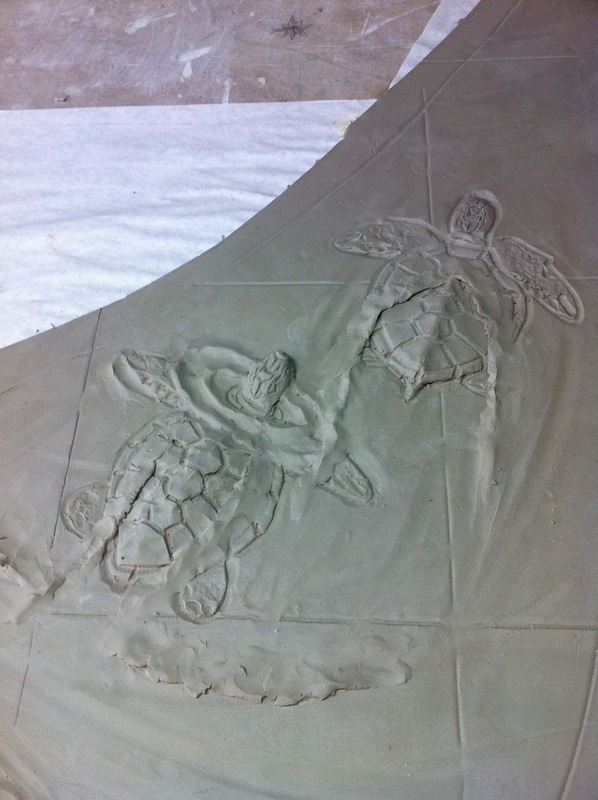 My client wants the turtle top to be a piece of sculpture so I was instructed to make the turtles stand out. I particularly like the ones that are swimming. I made one with it's head out of the water and the other diving. 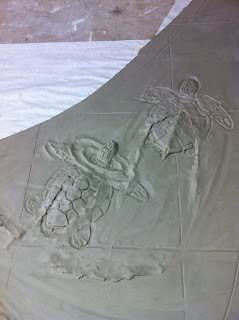 The next step is to dry the tiles and then glaze them. 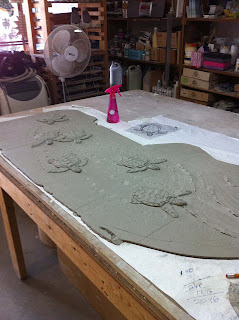 If there are any questions on how I lay out the clay slabs or sculpt them please send an email and I will be happy to explain. Have some fun today. Diane.